Cartographies of the Absolute has some images of Rotterdam's Europoort HERE. Europoort is by volume one of the largest ports in the world. 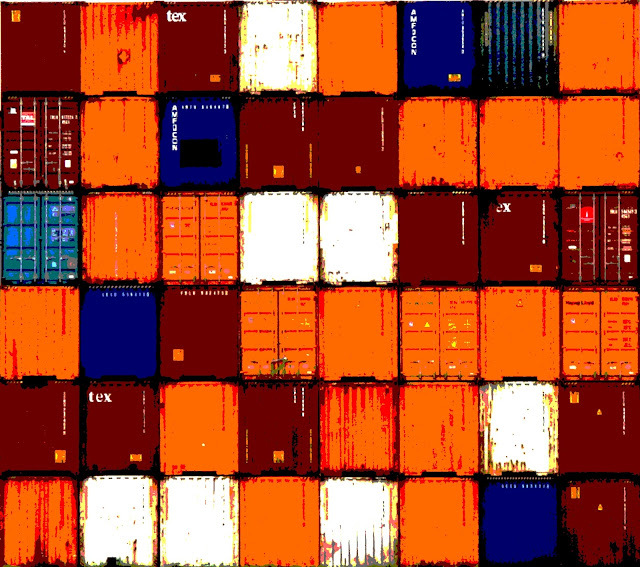 Below some containers turned into a Warhol style poster.